Another good day weatherwise which was relatively mild. 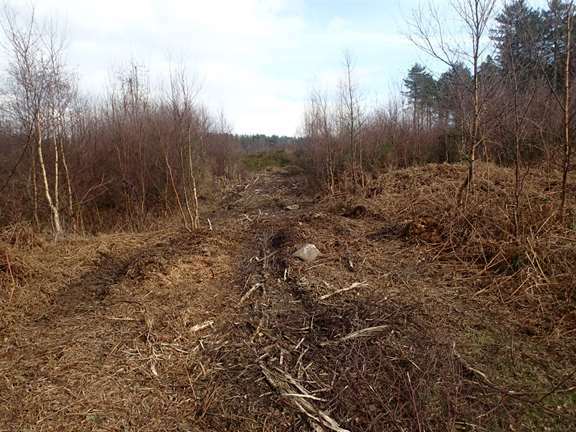 We continued with the birch removal and have succeded in clearing another large area. 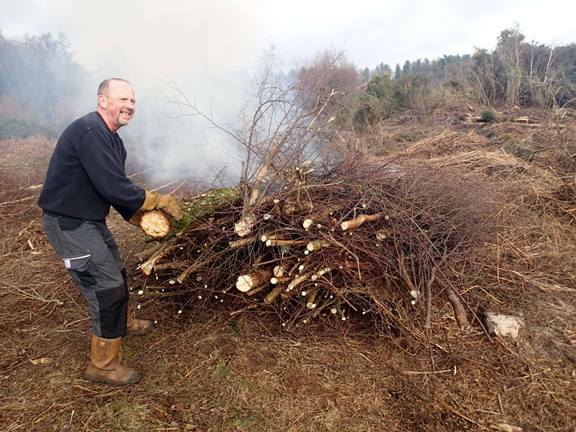 The Park is a very large area and the parts of it that we had helped to clear of the birch to re-store the heathland in recent years is looking very good. Loading up a very large fire, of which, we had a few! 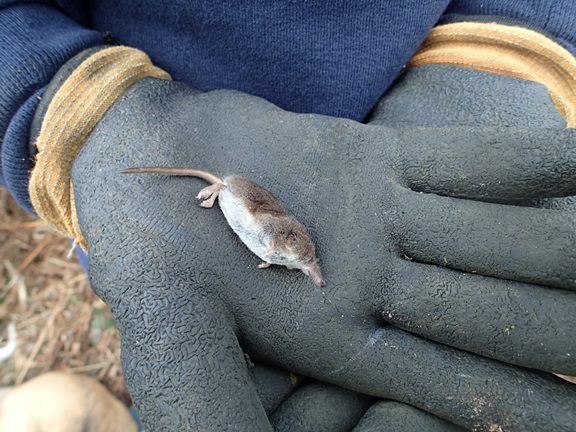 This deceased Pygmy Shrew (Sorex minutus) was found by one of the team. A very small mammal with markedly pointed snout. As in the common shrew, the fur is greyish brown (dirty white ventrally), but the pygmy shrew is smaller and has a proportionately longer and thicker tail. Pygmy shrews are active day and night, largely above ground. They make and use “surface tunnels” in vegetation and will frequent burrows dug by other animals. They seem to be relatively more common on heathland than are common shrews. They feed mainly on insects, arachnids and woodlice, requiring regular meals and eating up to 125% of their body weight in food daily. This is one of the mulched tracks which criss cross the whole site and makes it easier for us to drag the trees to the fires.